Take a moment and imagine yourself riding a horse. What do you see? Are you wearing jeans, cowboy boots and a 10 gallon hat? Or perhaps skin tight breeches, shiny, black knee-high boots and a black velvet helmet. Maybe you are jumping over a log or creek while galloping across country. Possibly, you are chasing a cow while swinging the rope that will soon catch him. Or are you meandering down a shady tree-lined trail with some friends on their horses? 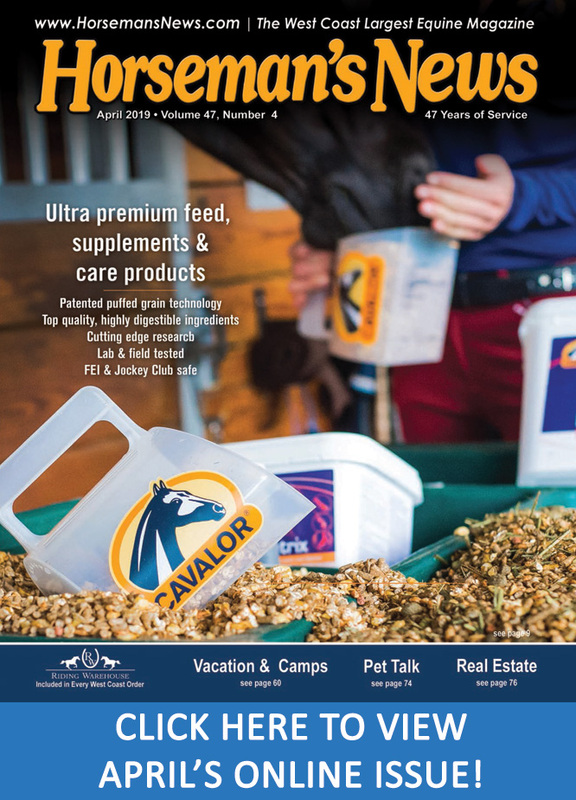 All these things and more are encompassed in the equestrian world. You can take your place in that world with a little research, planning and attention to detail. Just follow these steps and you will be well on your way. First, remember the picture you had in your head. If that is your goal, you need to find a place that can help you reach that goal. Riding facilities can range from a small barn behind someone’s house to Olympic-sized facilities covering hundreds (or thousands) of acres. Some places offer only one type of riding, while others have many styles available for you to try. Many instructors are certified while others aren’t. 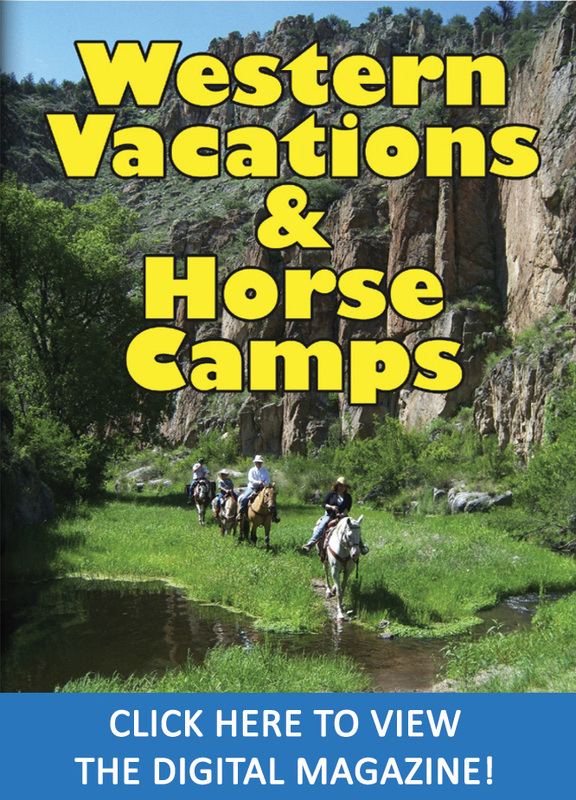 Horses are provided at a number of ranches while at others you must bring your own. And there is everything in between. How is a “Greenhorn” supposed to choose? Here are some important things to consider. 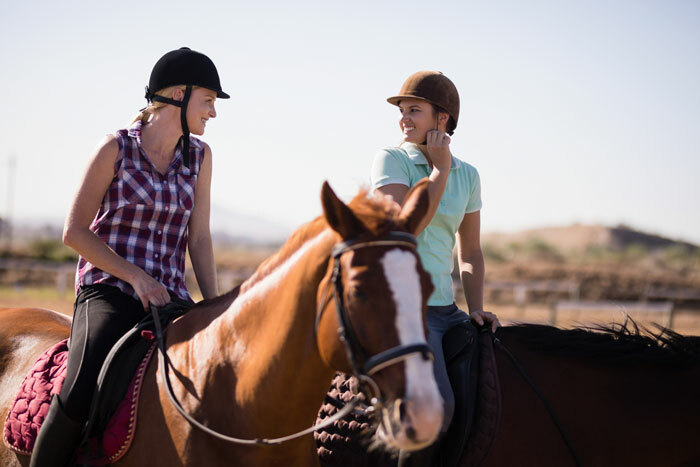 Riding style simply means what type of saddle, clothing, and horse you use and what activities you are doing with that horse. Different styles have varying levels of difficulty. Some people want to start with a very difficult style like Dressage or Reining. Others might want to start off with an easier style to be successful early on. The best way to decide is to do a thorough analysis of yourself (or your child). What is your personality type? Will you do well with lots of challenges? Do you need lots of early success to be happy? Also, talk with a professional instructor and ask their opinion. Most should be willing to give you some advice over the phone, if you know what questions to ask. I find it very frustrating when people call, ask the cost of a lesson and then hang up. That’s like calling a car dealer and asking how much a car costs. There are so many variables you need details to make a good decision. Here are 10 basic questions to ask over the phone. Who are the instructors and assistants? What is their background and experience teaching riding? What is included? Are school horses available? What types of horses are they? What attire does the barn provide, if any? How many people will be in the same lesson? Are ground classes required? Are they included? What are the requirements for riders? What level of riders do you teach? How are riders advanced? What riding styles do you offer? Can I watch a lesson? Is an appointment required or can I just stop by? How much do you charge? Do I pay per ride, buy a package, or monthly? Are there minimum requirements? Now that you have completed your research, it is time to visit the facilities you have chosen. Allow the staff to show you the facility while you observe. Is the facility clean and well cared for? Keep in mind that the instructor may not own the grounds and might not have any control over this aspect. 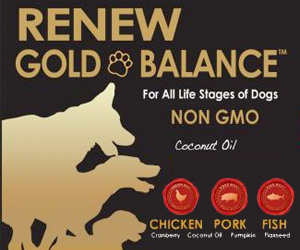 Are the horses healthy? Is the tack room neat and well organized? Is the tack well cared for? Are the students properly supervised? 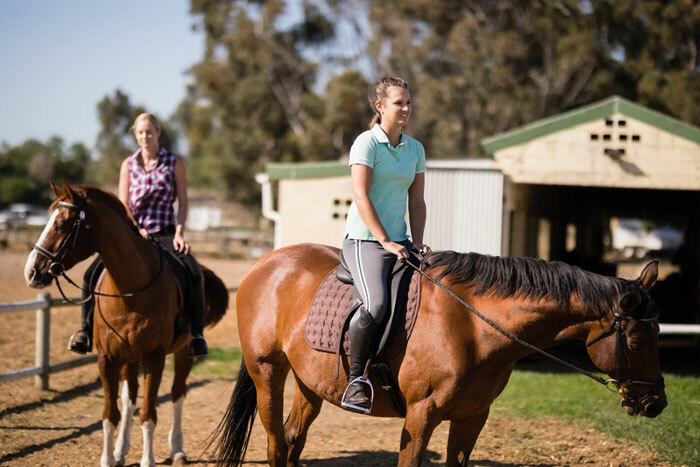 Is everyone- students, instructors and staff properly attired (long pants, boots, riding helmets when mounted, no shorts, tennis shoes or baggy clothing)? Do the students and staff seem happy and excited to be there? Observe the lesson. The lesson should include a warm-up for both horses & riders. Students should be engaged in the lesson. Students should be challenged, but not overwhelmed. Most important of all—The instructor should teach! That means they are talking the entire time, giving instruction not just on what to do, but how to do it. Speak with management and schedule a lesson. Confirm that you meet their requirements and determine what attire you will need to purchase. Some barns have very specific requirements, so make sure you get the correct items. Fill out paperwork & make your payment in advance to reserve your lesson time and save time on lesson day. Make sure it is everything you wanted it to be, but don’t be surprised if you feel nervous. If the lesson fell short was it the fault of the instructor? Or were your expectations too high? Everyone wants to gallop off into the sunset, but those skills take time to achieve. Evaluate the lesson and decide if you want to continue. If so, check out some package prices. They usually offer a better rate than the Pay-Per-Ride rate, but may have more restrictions. If the lesson wasn’t what you expected, be sure to tell the instructor and find out why. They should be able to explain why. If the explanation makes sense, give it another shot. If things still seem wrong, perhaps this place isn’t a good match for you. You shouldn’t have to talk yourself into it. It is either a good fit or it isn’t. After a few lessons you should know. If it doesn’t fit, look elsewhere. The right program for you is out there. You just have to find it. The world of Equestrian Sports is challenging, wide-ranging and exciting. You can always aspire to a higher level of riding, no matter what your discipline. You just need the right person to show you the way. Enjoy the Ride! About the Author: Cheryl Rohnke Kronsberg is a CHA Master Instructor, Clinic Instructor and an AQHA Professional Horseman. Cheryl has been teaching riding and training horses for over 30 years. Cheryl and her husband own and operate CRK Training Stable in Yorba Linda, CA. You can read more of Cheryl’s work at www.crktrainingstable.com.